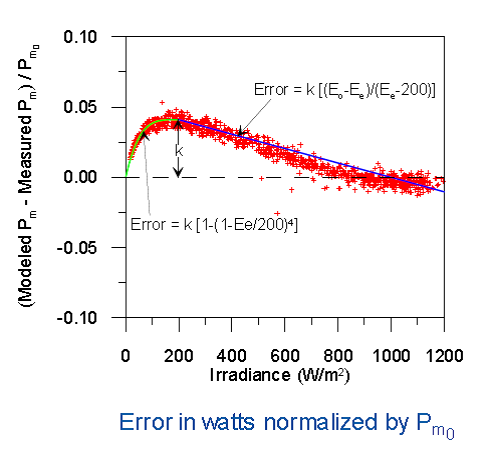 Bill Marion from NREL developed a correction method that improves the ability of PVWatts to represent the nonlinear behavior at low irradiance, which is evident in x-Si module performance (Marion, 2008). is determined from a measurement of at 200 W/ , which add an additional input parameter. However, IEC 61215 and 61646 require this measurement to be made. Marion, B. (2008). 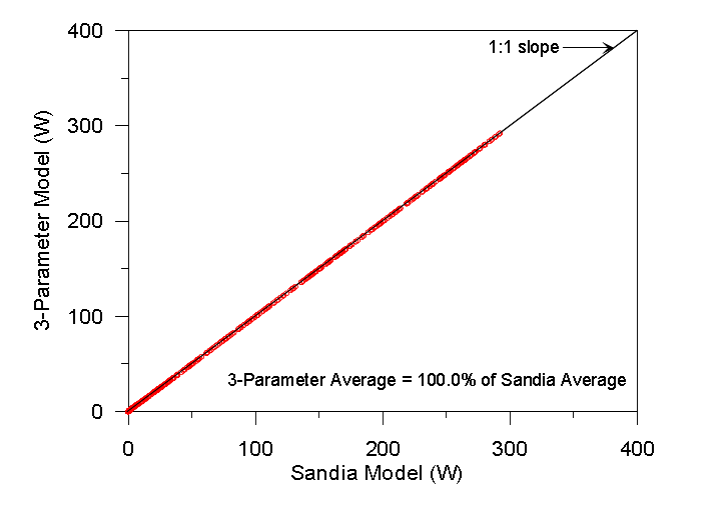 Comparison of Predictive Models for Photovoltaic Module Performance. 33rd IEEE Photovoltaic Specialists Conference. San Diego, California.